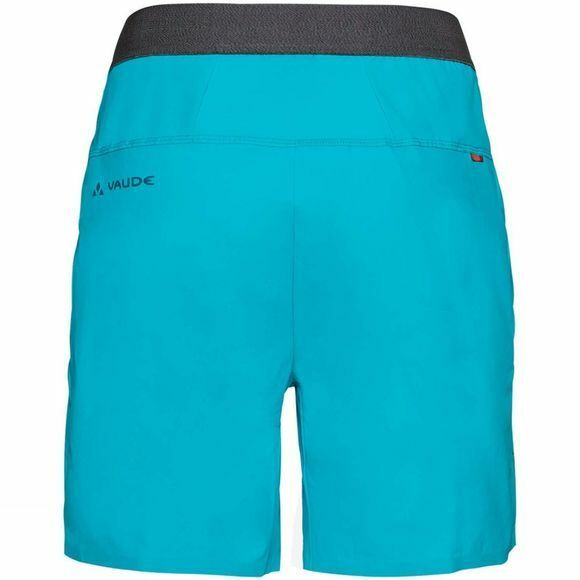 The Womens Scopi LW II Shorts from Vaude allow unlimited freedom of movement: very lightweight shorts for weekend scrambling or fast ascents up the mountain. The exceptionally stretchy fabric dries fast and doesn't bind. 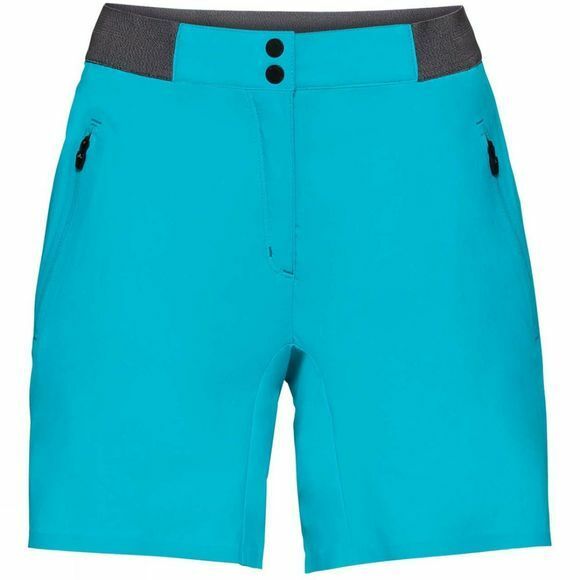 Streamlined waistband for a comfortable fit that lets you breathe. Plenty of space for your keys and cash in the pockets. The Vaude Green Shape label stands for environmentally friendly, functional products made from sustainable materials.